Over the past 50 years or so, Loiret farmers have developed respected techniques and know-how to produce quality red beets while following an environmentally-friendly approach. First, the soil is prepared for the seedbed: clumps are crumbled up, the ground is levelled and made into mounds. Proper work on the soil will ensure good growth for the crops, all the more so with a vegetable grown for its root. The seedbed is made using a precision pneumatic seed drill. Most seed varieties are multigerm, meaning that each grain yields several plantlets. The amount of grain is calculated in such a way as to raise 400,000 to 750,000 beetroots per hectare. The beets come up and the initial leaves develop. 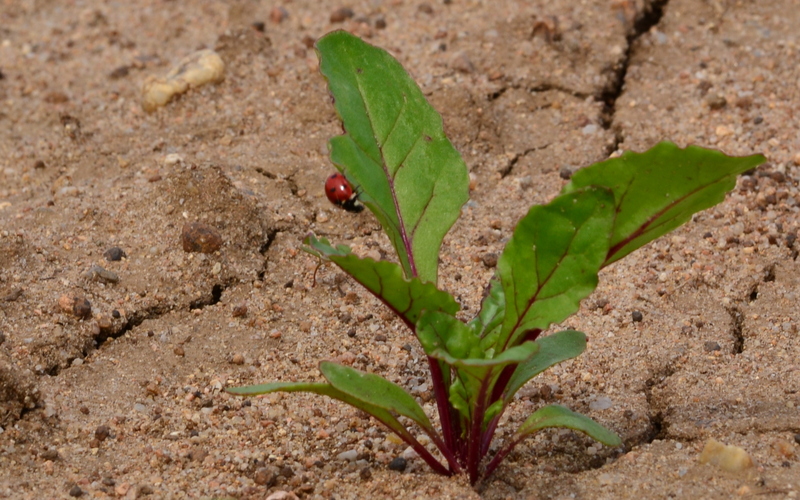 This is the time for weeding, to ensure that weeds will not take over from the young beets. Vegetation grows and gradually covers up the spaces between rows and the entire mound. The roots expand. This is the period when the requirements in water and mineral elements are highest. The leaves deteriorate to the benefit of the roots, which get loaded in sugar. Prior to harvest, the crops’ leaves are plucked using a horizontal axle mechanical plucker with rubber straps. The straps skim the tops, taking care not to damage the roots. 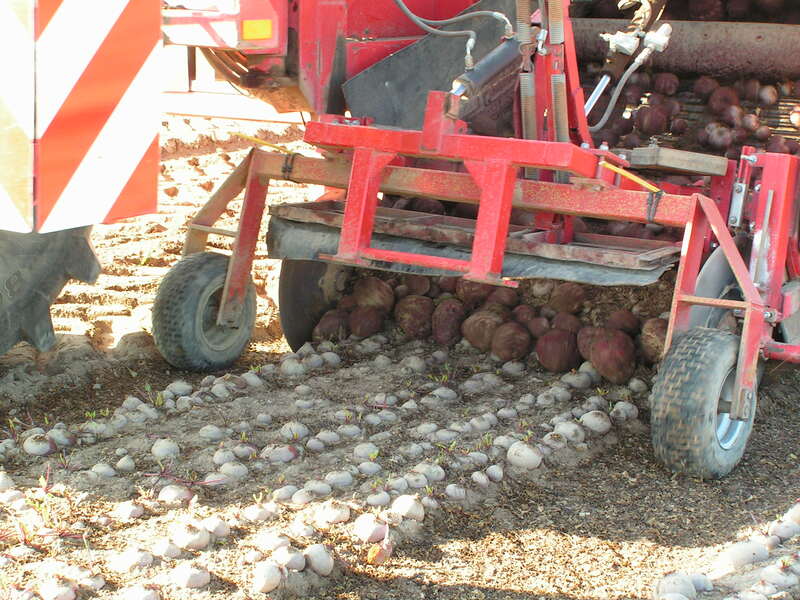 The beets are harvested using a mechanical stripper featuring a lifting blade and conveyor belt that transfers them into either a shaft or a farming dumpster towed alongside the stripper. The harvest is taken straight to the processing company or stored in a silo. Beets intended for preserves are stored in a silo that consists of a heap covered with a perforated tarpaulin and then with hay. When the temperature is below freezing, a second tarpaulin is used. The silo may be equipped with a ventilation shaft for better temperature control. Storage requires real know-how and very careful monitoring. The silo is gradually emptied throughout the winter and until the following spring, in order to supply the steam cooking units year round. 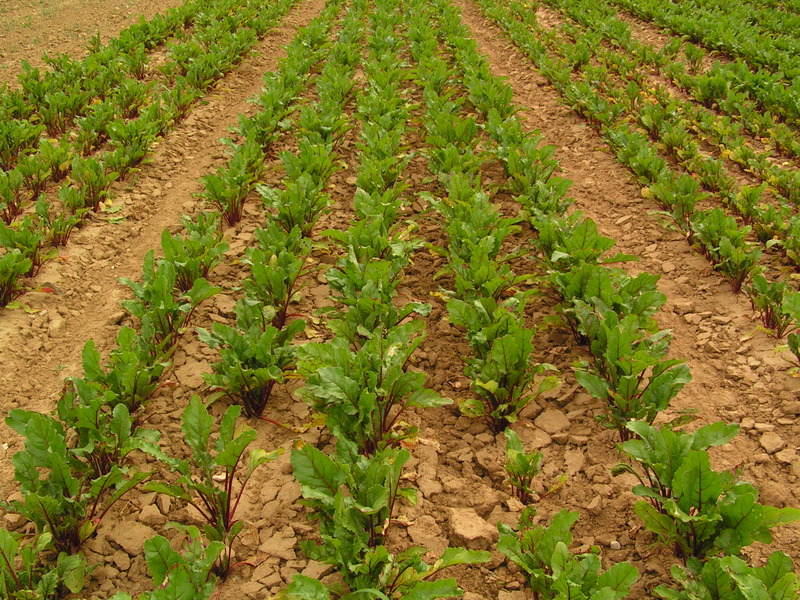 The best farming practice followed by red beet producers in the Loiret are certified by an independent agency on the basis of the specifications listed by GlobalG.A.P and acknowledged worldwide. All interventions are reasoned and systematically listed in a cultivation log so as to ensure full production traceability. Concerned with promoting responsible farming, every year Loiret producers invest in an applied research programme in order to develop increasingly environmentally-friendly techniques.